The ABC Keyboard can help increase computer accessibility and productivity for children, individuals with special needs, and even the average two fingered typist. The alphabetical ordering of its keys empowers those with no traditional keyboard training to more easily use modern computing devices. Features • Alphabetical Ordering of Keys • Usable in Most Apps* • Customizable Key Fonts, including the OpenDyslexic Font • Customizable Keyboard Themes • Upper and Lower Case Letters on Keys • Word Prediction, Automatic Capitalization, and "." Shortcut Options Children For children learning their ABCs, the alphabetical ordering of keys invite the youngest learners to have fun while learning to recognize the alphabet and interact with the myriad of educational apps now available. 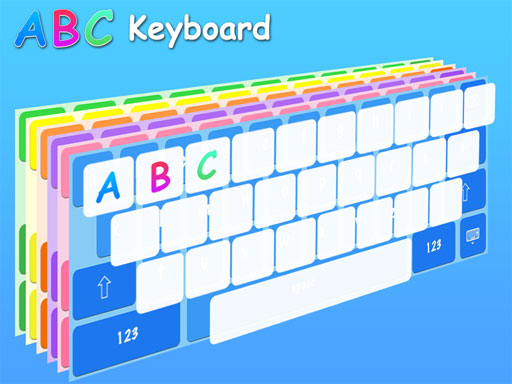 Using the ABC keyboard can also aid in reading development and vocabulary building. Dyslexics & Special Needs For individuals with dyslexia or special needs, learning the characters and shapes of the alphabet can be difficult. Applying that knowledge to the layout of the traditional QWERTY keyboard only makes life harder. The ABC Keyboard reduces the learning curve of memorizing the key pattern on a traditional keyboard, thereby making it much easier and more straightforward to use. What's more, by customizing the font of the keys in ABC Keyboard, these individuals are able to choose a visual style more suited to their learning needs. Two Fingered Typists Most people don’t take typing classes these days therefore they are not fast or accurate typists. Known as “hunters and peckers” or "two fingered typists," they type with two fingers. And let's face it, an iPhone is no place to practice traditional typing anyway. It’s much easier and more intuitive for them to use the ABC Keyboard for texting and across the apps they use in their daily lives. Increased speed, accuracy, and confidence are immediate benefits in implementing the ABC Keyboard.